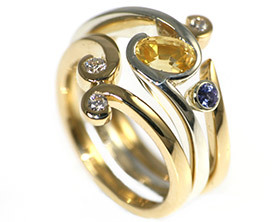 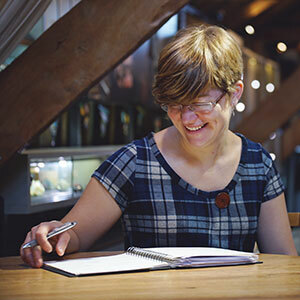 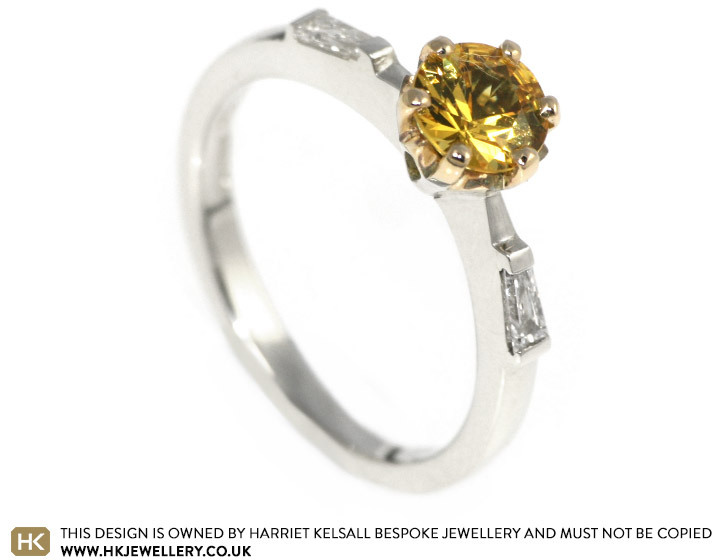 Sophie had her engagement ring for a little while, and whilst she loved the stones she felt the design was a bit too chunky so she brought it to us to re-design it. 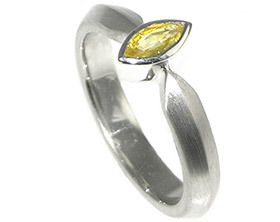 We decided to turn the 3.6x1.8mm baguette diamonds in the shoulders through 180 degrees so they're pointing towards the central 5.6mm yellow sapphire, and to keep the band as slim as the stones will allow, following the same taper.The band is natural 9ct white gold to make the white diamonds stand out more and the sapphire's delicate 6 claw setting is 9ct yellow gold to blend into the colour of the stone. 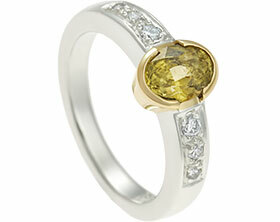 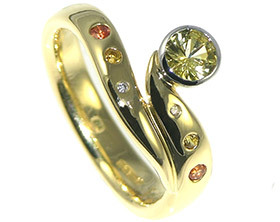 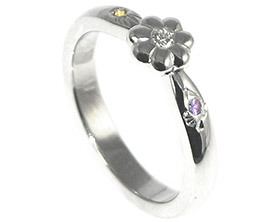 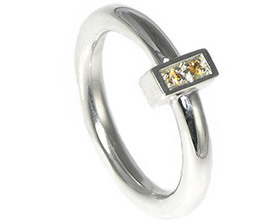 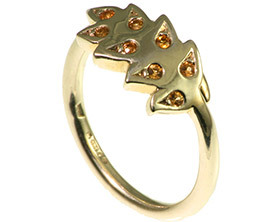 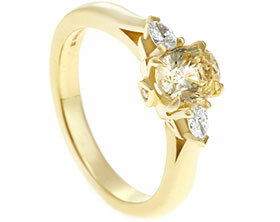 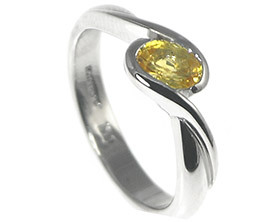 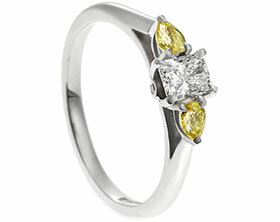 The diamonds are set in little end only bars in the same style as in the original ring. 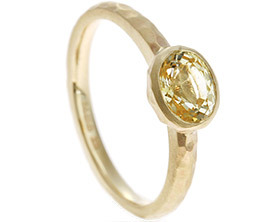 Sun rise inspired engagement ring.